The essential oils described in this post refer only to therapeutic grade essential oils. I only recommend Young Living essential oils, as I am certain of their high quality. Not too long ago, I shared with you how my daughter, Tiffany, used essential oils during her labor and delivery. The “other grandma” (we call ourselves grandsisters!) was giving me blow-by-blow updates as labor progressed. We were both praising God for His gift of peppermint that day! He surely gives His children good gifts! I also shared with you how Tiffany had prepared an essential oil “birth stash” ahead of time for all the various needs she may have during her home birth. I’m including her personal list here, as well as some various helpful tips I’ve learned from other moms over the years (including my own experiences!). As usual, the information provided on The Common Scents Mom is for educational purposes only. It is not intended to prescribe, diagnose, treat, cure, or prevent any disease. It is your responsibility to educate yourself and address any health or medical needs you may have with your physician. Please seek professional help when needed. The Frankincense also helped to sooth the “burning” feeling that sometimes comes when baby is crowning. Cleanse perineum area with entire contents of the bottle of warm lavender water after each trip to the bathroom. This is very soothing. Soak clean wash cloth in water with five drops of lavender oil and 2 drops of geranium oil. Wring out cloth, place in a Ziploc, and refrigerate until well chilled. Apply to sore area. A.M.A.Z.I.N.G. Gently cleanse area, and apply directly to area of discomfort twice per day, or after each bowel movement. I used this recipe after my last two 8 lb. babies and it was the only thing that gave me major, instant relief (and I had tried everything). However, one mom told me that it was too strong for her sensitive skin. If you have sensitive skin, or if you find it burns, you can dilute it easily by diluting with a carrier oil or immediately applying plain almond or coconut oil (or another carrier oil) to the area. Especially suited for the vaginal area before and after childbirth. Contains: Coconut oil, Myrrh, Tea Tree, Lavender, Frankincense, Roman Chamomile, Helichrysum. Clary Sage (Warning: Some people believe this may induce labor and don’t recommend it for use during pregnancy. 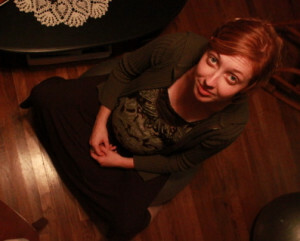 To help encourage regular and strengthened contractions, Tiffany applied Clary Sage around the inside of her ankles. Others have applied the essential oil, along with a carrier oil, directly to the abdomen. Some have found it helpful to take one drop of Clary Sage internally in a glass of milk or almond milk every hour or so during labor. Still others prefer taking a few drops of Clary Sage in a capsule. WARNING: Young Living is the only essential oil I would ever feel comfortable taking internally. Lower quality oils may actually be toxic. Know your product. Keep by the bed, a heated crockpot filled with purified water and a dozen wash cloths. Make sure the water is hot (but not too hot to handle). Place 15-20 drops of lavender in water. Frankincense and copaiba are also great additions! Have someone assigned to keeping a steady flow of warm, wrung out, wash cloths to place across your belly during contractions. Lavender is very helpful for dulling and easing uterine contractions; but, it is also good for relieving back and leg soreness too. In addition, it is a balancing and calming oil that can help to relax the body and ease nervousness. It restores emotional balance, and has been said to strengthen contractions. Copaiba contains betacaryophyllene. Looks it up! During transition, apply Frankincense to abdomen in a carrier oil or on warm washcloth as described above. Frankincense, Valor, Pan Away, or Deep Relief. Apply to sore areas of back, legs, or hips. Deep Relief applied to the back of neck or temples (be careful not to get in eyes). Peppermint or lavender may also be good choices. Apply to forehead and temples, or on location for relaxation. Rub into shoulders to stay relaxed. Apply to inside and bottom of feet to help focus and to calm anxious feelings. Diffuse directly into air for a calming atmosphere. Dilute with carrier oil and massage to help with relaxation. Put one drop on tongue to alleviate nausea. Make sure husband or birth coach does this too. No laboring mama wants stinky breath in her face! Inhale in a compress to alleviate nausea. Peppermint –Apply behind the ears. Put a drop on tissue and inhale slowly. Peppermint – Put a few drops in the toilet before being seated. Warm a blanket in the dryer and wrap mama. Diffuse lavender. This also refreshes the air. After labor, apply a warm, wet washcloth with a few drops of Frankincense and lavender to the abdomen to sooth the discomfort. Stretch Marks – Gentle Baby, myrrh, or Frankincense mixed with V-6 oil (or coconut oil). Also, Animal Scents or Rosewood Ointment mixed with a little myrrh. 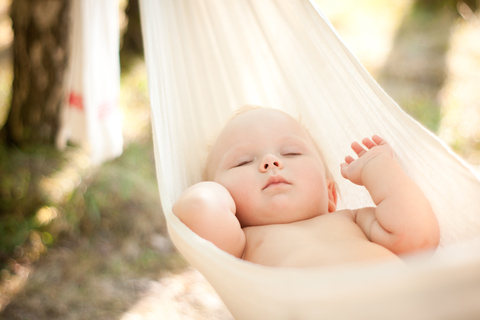 Occasional Difficulty Sleeping after Baby – Peace and Calming, Harmony, Sandalwood, or Lavender diffused into the air. Also a drop or two of lavender on the blankets or sheets make for a peaceful sleep for mommy and baby (test fabric first). RutaVala or Vetiver rubbed into feet. Sleep Essence taken by mouth.